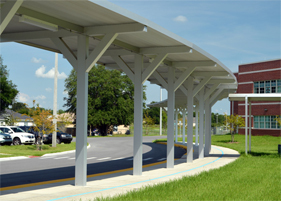 Aluminum is one of the top materials of choice for a variety of industries, ranging from architectural systems and beverage production. Earning a reputation as one of the most versatile metals, aluminum lends a hand to many aspects of your daily life. The beverage industry uses more aluminum than in manufacturing, cars, planes, and packaging, making it one of the most used metals in the world. Aluminum has a melting point of 660°, over six times the boiling point of water. At one point in time, aluminum was worth more than gold and silver. It takes about 60 days for your can of soda to be recycled back onto the shelf. 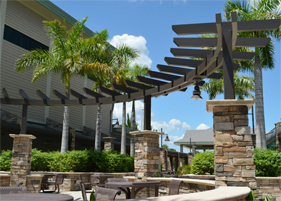 Aluminum is strong, lightweight, corrosion-resistant, nontoxic, and not to mention aesthetically pleasing! Every part of aluminum is recyclable. It is extremely durable and can be used over and over again! Aluminum is the most abundant metal in the earth’s crust and is never found free in nature. Aluminum was first available in ingot quantity in 1888, while the earliest production of aluminum foil was 1903. Commercial aluminum production begun in 1913. A widely used in consumer and industrial production, aluminum’s lightweight and strong attributes make it the material of choice in the construction industry. Aluminum is also widely used in the production of doors, windows, roofs, siding, and framing structures. 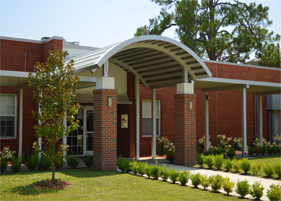 Perfection Architectural Systems provides our customers with high quality aluminum canopy solutions and would like to help you design and construct your next project. 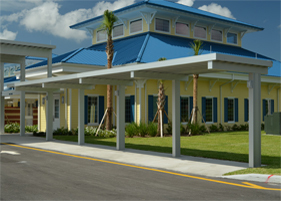 We utilize every characteristic of aluminum, making your structure strong, lightweight, and durable. 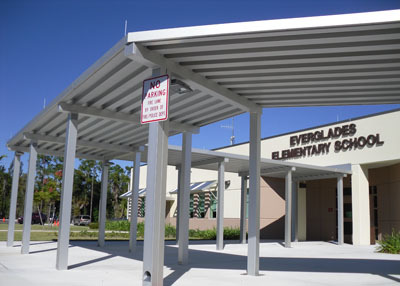 Contact us today at 800-238-7207 to learn more about our long term aluminum canopy solutions.